I remember telling my friend that this movie was going to be my people’s “Black Panther” in which all the Asian folks will flock the theaters and be so proud of their heritage. This movie had so much high expectations for me. I wanted it to be that important for my people. And even though it won’t live up to the hype of T’Chala and Wakanda, I couldn’t have asked for a better movie for my people. The hype leading up to the movie’s release was the same narrative: First major Hollywood film with an all-Asian cast since “The Joy Luck Club” 25 years ago. And that narrative needed to be repeated over and over again. I was too young to even know about “The Joy Luck Club” and the portrayal and representation of Asians in American pop culture is so minimal. There are few leading roles and they’re a lot of stereotypes. And also there are a lot of whitewashing Asian roles. It’s a hard thing for me to grow up with not having any true representation. It never gave us the drive and encouragement to pursue entertainment as a career choice. After all, there was so much evidence that Hollywood didn’t care for us. And I started to not care about Hollywood and the Asians trying to make it. So with all that going into the movie, there was a lot of hope. Plus as a movie person, I also wanted to compare the film to the book. (It was pretty accurate for the most part.) The hype was worth it. The culture and color in the movie was fantastic. I was able to pick up all the side Chinese comments spoken throughout the film. Most of the music played was in Chinese. I felt like I was part of this special group because I actually knew the language and culture in the film, something that likely most of the viewing audience doesn’t know. They had a whole scene that was based around mahjong. Having grown up watching my relatives play this game (sadly I never learned) was a core part of my Chinese upbringing The fact that they didn’t explain any of the rules throughout the scene made it even more special. Hey, if you know what it is, great. If you don’t, then this is your chance to satisfy that curiosity. And perhaps that was what made this film something special. It was not like “The Joy Luck Club” where it talked about integrating Chinese culture in America. 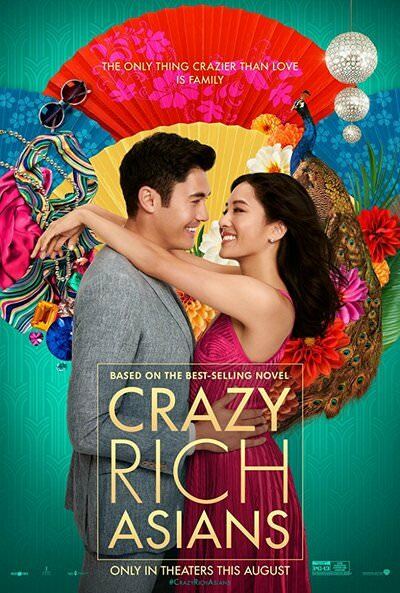 “Crazy Rich Asians” is a movie set right firm in Singapore and into a world of a culture that I’m sure most of America isn’t familiar with. But for people like me who grew up in a Chinese household speaking the native tongue, and have been to Singapore myself, this was like being home again. This was different (and long overdue). This was the film that finally gave Hollywood a look into an Asian culture that wasn’t what we already knew. And it captured a lot of what a Chinese-American guy like me experienced as a kid. You could not have wiped the smile off my face throughout this entire movie. A dream that I didn’t even think could be dreamed happened right before my eyes. This movie isn’t perfect by any means. Singapore is so diverse but this film lacked representation of people outside of the Chinese culture there. Also, I felt that there should have been more Chinese, Hokkien and other native languages spoken instead of English in the movie. There are a lot of things here and there that could have been better. But for now, we will take this first big step. Perhaps you can just view this as another cheesy romantic film and the whole setting of Singapore and its actors of the film don’t matter to you. That’s fine. But for those who take pride in their heritage and want their people to get some representation in Hollywood, this movie is everything. I hope it doesn’t stop there. I hope for a sequel to this movie — I liked the second book as well. But I also hope for more all-Asian cast films in Hollywood. Or in fact, maybe we get to see more lead roles that don’t play into stereotypes of martial arts or super math genius. We are more than that. And finally after a long time, Hollywood has given us the chance to show that. This entry was posted in Movies and tagged Crazy Rich Asians. Bookmark the permalink.